In early March this year I bought an Oberheim DPX-1 on eBay. This example had the latest OS and the rare 8 output expander plus a brand new PSU! Unfortunately it was probably dropped on the ground on the journey from the US to Sweden. I was refunded but got to keep it since the buyer wasn’t interested in paying the shipping back to the US. This night I opened the DPX up to try and find any clue of what was wrong. Not being an electronics expert, I tried usual of way of troubleshooting, namely removing part by part and see if anything made a difference. The error could simply be described as the DPX not booting. When it’s powered on it immediately shows a strange character in the LCD display and then lits the MIDI CHANNEL, DATA DUMP and ERROR leds. See the video below day I shot when it arrived. I started to remove the floppy cables and power cables. No difference, Same error. I removed the cable to the expansion board. No difference, same error. I removed the OS chips and doing that on a working unit would most probably generate an error. But no difference, same error. I removed the CPU, and without the CPU it’s certainly guaranteed that nothing should work, but no difference, same error. 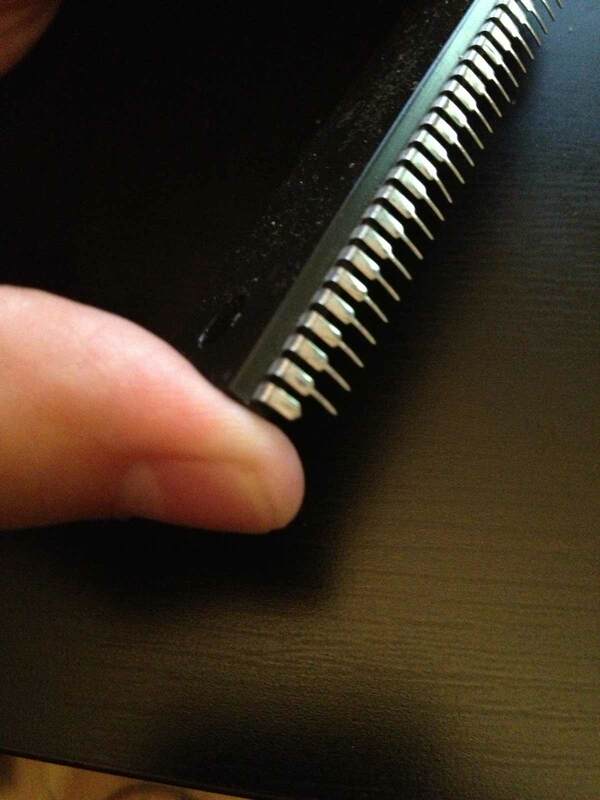 However, removing the CPU, the most important part in a digital instrument, and not getting any other error points to the fact that the CPU might be the problem. I also remember that when I looked at DPX the last time when it arrived broken, the CPU had popped out. What I also noticed now was that one pin of the 64 pins were missing. CPU is missing pin 1, also known as ‘D4’. 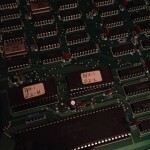 The CPU will certainly not run at all without this according to a forum member with lot’s of 68k experience. The CPU is a Motorola MC68000P10, a version of the in the 80’s widely used 68k family. I looked it up in the data sheet, and the pin is number pin number 1, named ‘D4’. I asked in the 99musik forum, and someone replied that the CPU most definitely can’t start without D4. 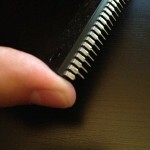 I took a look at some photos taken when the DPX arrived, and in those photos the pin is actually there. However, it could have been very loose then, just waiting to fall off. I’ve looked for the pin in the DPX, but I guess it’s like looking for a pin in a haystack. 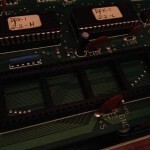 Two firmware chips, and the big Motorola MC68000P10 CPU.